In the olden days, if people had crooked or misaligned teeth, they simply had to live with them. However, an uneven smile can affect a person’s self-confidence as well as his or her self-esteem, all of which can affect his or her personal and professional lives. Fortunately, thanks to the latest innovations in the dentistry industry, people no longer have to settle for crooked smiles. Braces are the most popular way to address less than perfect smiles, and nowadays, there are many different types of braces on the market so that patients can select the option that best suit their needs. 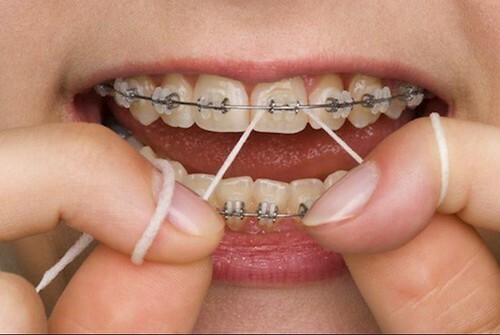 Dental braces are appliances that are used to assist in the alignment of crooked or misaligned teeth. They are usually affixed to the teeth via metal plates that are placed on the front of the teeth, and then a wire is run through the plates and pulled tight to coax the teeth to gradually move into place. People who have dental braces usually have to visit their orthodontist every two to four weeks to have the braces tightened. Although the tightening of dental braces might not bother some people very much, other people might find the process to be more painful. How painful braces are depends upon each individual’s tolerance level for pain, but the pain is usually manageable for people with some over-the-counter pain medication. Moreover, even though many orthodontists apply braces for cosmetic purposes, in some cases, dental braces are actually necessary for correcting irregularities that contribute to overbites, underbites, spaces between teeth, crowded teeth and issues with the alignment of the jaw. Although metal braces are the most traditional type of braces and have been used for many years, there are plenty of other more innovative options on the market nowadays. For instance, one of the biggest gripes about traditional metal braces is that many people don’t like having the appearance of metal in their mouths when they smile or speak. This is especially true for adults who get braces since most people go through the braces stages of their lives during their childhood and teenage years. Nowadays, one of the most popular alternatives to metal braces is invisible alignment trays. As the name implies, this type of braces consists of s series of invisible trays that are custom designed for each individual’s mouth. The exact treatment plan for each individual varies, depending upon each individual’s specific dental situation, but usually the patient must see his or her dentists every two to six weeks to be fitted for a new tray. These trays are essentially invisible, so patients can wear them without anyone even knowing that they are wearing braces. The trays work to gradually move the teeth back into alignment without anyone even knowing the difference. Ceramic braces are another popular option for those who aren’t good candidates for invisible trays but who don’t necessarily want the traditional appearance of metal in their mouths. These braces work essentially the same way that traditional metal braces do, but instead of the brackets being made of metal, they are constructed of a clear ceramic that retains the natural color of the patient’s teeth. Another option is lingual braces. 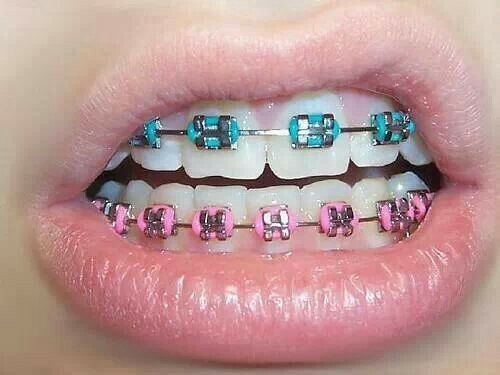 These braces are quite different from the other types of braces because instead of being affixed on the front of the teeth, the brackets are affixed to the back of the teeth, and then the wire is run through the brackets on the inside of the mouth. This makes the braces virtually invisible since they can be seen from the front of the mouth. Regardless of the type of braces that you have, caring for them is of the utmost importance. Orthodontists usually caution patients against eating chewing foods like caramel, taffy or anything else that might get stuck in the braces and damage. Additionally, patients should brush after every meal to keep their dental braces clean as well floss daily. For those with ceramic braces or invisible trays, acidic foods, coffee, tea and other substances that could potentially stain the braces should be avoided. Academy of General Dentistry. “Why do people get braces?.” Retrieved on February 11, 2016, from http://www.knowyourteeth.com/infobites/abc/article/?abc=w&iid=322&aid=1304. American Dental Association. “Braces.” Retrieved on February 11, 2016, from http://www.mouthhealthy.org/en/az-topics/b/braces.aspx.